Throughout time and within culture, butterflies and moths have symbolized transitions in their broadest scope – transitions from death to life, dark to light, winter to spring, and from one state of being to the next. When people are able to observe living science and transitions in the natural world, they are inspired to create symbols and myths. In that way, science and culture become intertwined. The culture that spawned from the science of butterflies and moths is one that speaks of great beauty, loss, and perseverance. However, it is subject to some very common misconceptions. 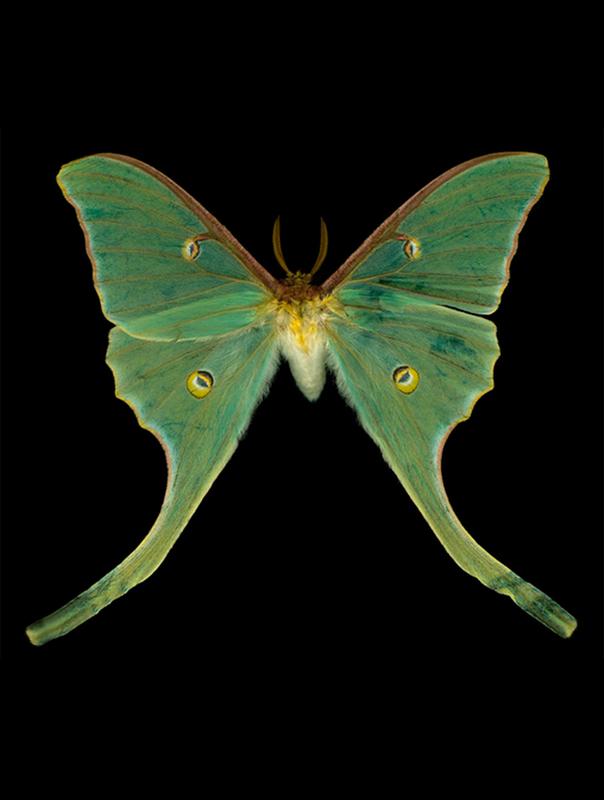 In creating the Butterflies Series, artists Gerald Lang and Jennifer Ann Tucker scanned butterflies and moths from the personal collection of Jordan W. Finkelstein, MD, MSc. 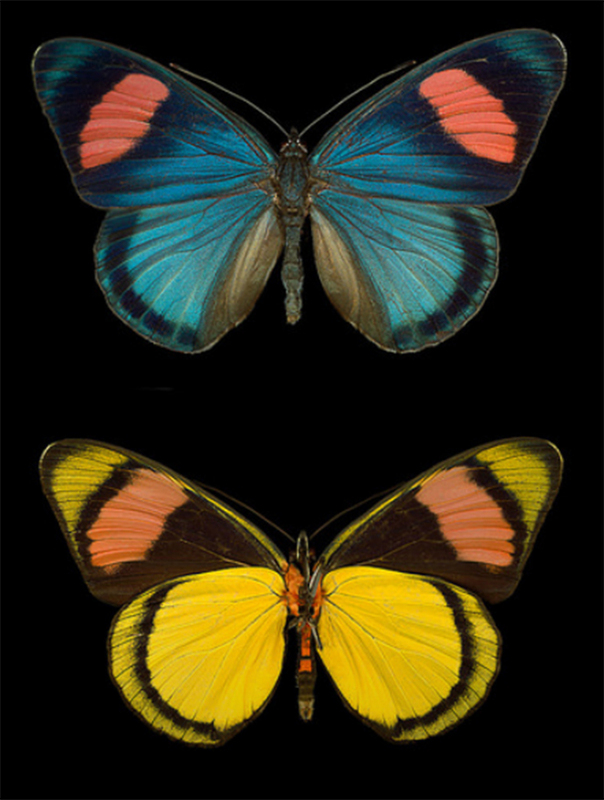 Their process began by placing the delicate insects on the glass of a professional scanner. They then took scans at multiple depths of field and stacked those images one on top of the other. The process, known as focus stacking, generates ultra-high-resolution, multi-dimensional viewing experiences that are more commonly associated with scientific research. Within these high-resolution scans, the scales, fur, structures, and patterns of life and disintegration become visible as science and art entwined. Gerald Lang is an emeritus professor of art and integrated arts at Penn State University. Jennifer Anne Tucker received her master’s degree in fine arts photography from Penn State University. As a couple, together they own The Studio at Hill Crystal Farm in Spring Mills, Pennsylvania.